But cellular computing is more than just a convenient metaphor. In the last couple of decades, biologists have been working to hack the cells’ algorithm in an effort to control their processes. They’ve upended nature’s role as life’s software engineer, incrementally editing a cell’s algorithm—its DNA—over generations. 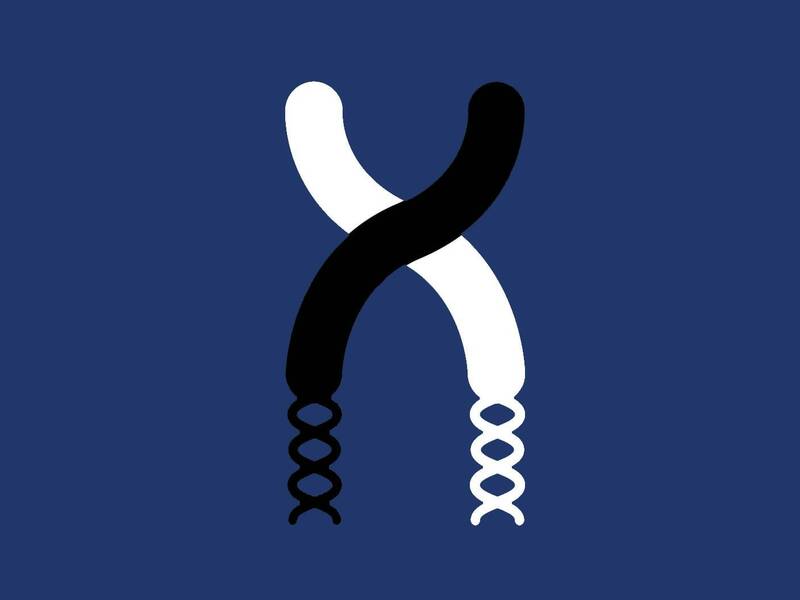 In a paper published today in <a href="http://nature.com/articles/doi:10.1038/nbt.3805&quot; target="_blank" Their cells execute these instructions by using proteins called DNA recombinases, which cut, reshuffle, or fuse segments of DNA. These proteins recognize and target specific positions on a DNA strand—and the researchers figured out how to trigger their activity. Depending on whether the recombinase gets triggered, the cell may or may not produce the protein encoded in the DNA segment. Now, don’t get distracted by the shiny lights quite yet. The real point here is that the cells understand and execute directions correctly. “It’s like prototyping electronics,” says biologist Kate Adamala of the University of Minnesota, who wasn’t involved in the research. As every Maker knows, the first step to building complex Arduino circuits is teaching an LED to blink on command. Wong’s group wasn’t the first to make biological logic gates, but they’re the first to build so many with consistent success. Of the 113 circuits they built, 109 worked. “In my personal experience building genetic circuits, you’d be lucky if they worked 25 percent of the time,” Wong says. Now that they’ve gotten these basic genetic circuits to work, the next step is to make the logic gates work in different types of cells. But it won’t be easy. Cells are incredibly complicated—and DNA doesn’t have straightforward “on” and “off” switches like an electronic circuit. In Wong’s engineered cells, you “turn off” the production of a certain protein by altering the segment of DNA that encodes its instructions. It doesn’t always work, because nature might have encoded some instructions in duplicate. In other words: It’s hard to debug 3 billion years of evolution. Here’s how it worked: Whenever the cell did contain a specific DNA recombinase protein, it would NOT produce a blue fluorescent protein that made it light up. But when the cell did not contain the enzyme, its instruction was DO light up. The cell could also follow much more complicated instructions, like lighting up under longer sets of conditions. Skip to: Start of articleVisually Open Nav.Go to Wired Home Page. For comparison, SF is the most Expensive city to live in currently, surpassing even NYC. A top bunk bed in a warehouse lined with bunks can run $2000 a month. And you’re gonna have to look somewhere else to store your car – for another several hundred. You won’t be driving much either. IE, a $50k salary wouldn’t get you far. You need about 6 figures ( watch the hefty taxes that go with that figure) to live comfortable. Forget about owning a home – unless you can land one of the top jobs listed in this article. The rush to develop self-driving cars is fueling lucrative deals for autonomous tech firms, from GM’s $581 million purchase of Cruise, Uber’s $680 million Otto acquisition and Ford’s $1 billion Argo Ai project, and has made the founders of those startups wealthy. But in the epicenter of this particular race there’s a tight supply of seasoned computer scientists and engineers needed to perfect the technology, giving rise to considerable salaries for top talent. Salaries in the Bay Area, including annual bonuses and equity, currently average $295,000 a year for top self-driving car engineers, and range from $232,000 to as much as $405,000, based on data from Paysa, a Palo Alto firm that analyzes pay and job trends using an artificial intelligence-enabled data platform. The average is more than four times the California median household income of $64,500 in 2015 and over five times the U.S. average, based on Census figures. Salaries are so high because the pool of talented engineers is somewhat limited right now, Paysa CEO Chris Bolte told Forbes. “We see this type of engineer as one of the hottest engineers out there.” Self-driving cars, along with virtual reality and augmented reality, machine learning and AI are all on a “wild upswing,” he said. The race to master and commercialize robotic vehicles that can serve as taxis, delivery vans or heavy trucks, has grown intense with the automotive and tech worlds, given how large a shift it may mean for society. Advocates see the likelihood of dramatic reductions in traffic accidents and fatalities; reduced congestion and stress-free commutes with passengers free to text, read, email, watch videos or sleep while in transit. “It’s not just the physical car but areas like navigation, LiDAR, cameras, etc. are all growing so the need for talent, both in hardware and software, is huge,” Sebastian Thrun told Forbes. He should know. He’s a research professor at Stanford University and founder and president of Udacity, an online educational service that’s the first to offer a “nanodegree” designed to train engineers for autonomous vehicles. Since kicking off the Self-Driving Car Nanodegree program in September, Udacity has received applications for it from 25,000 people and currently has more than 5,000 students enrolled in course, spokeswoman Amy Lester told Forbes. Two big players in autonomy exemplify that demand and are at the high end of the handsome pay trend. Google (which now operates its program as Waymo) offers $283,000, including pay and equity, and excluding a $30,000 signing bonus, Paysa data show. Total compensation from Uber for self-driving car engineers is even higher at $348,000. …Paysa data show there are currently more than 200 positions available for self-driving car engineers from a host of companies including Apple, Ford, Tesla, Bosch, Here, Valeo, Delphi, Lucid, GM, nuTonomy and Drive.ai. Alan Ohnsman covers the intersection of technology, autos and mobility. Follow him on Twitter and LinkedIn.